From Saint-Jean-Port-Joli we made our way to Moncton. 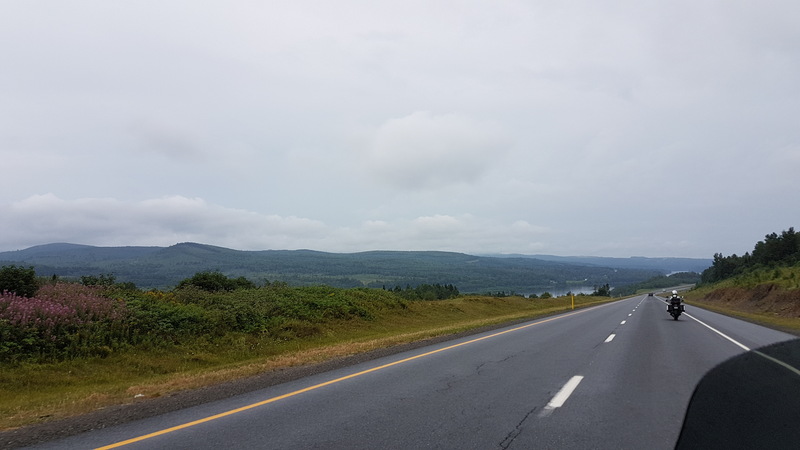 The ride between Quebec City area all the way into New Brunswick is gorgeous. 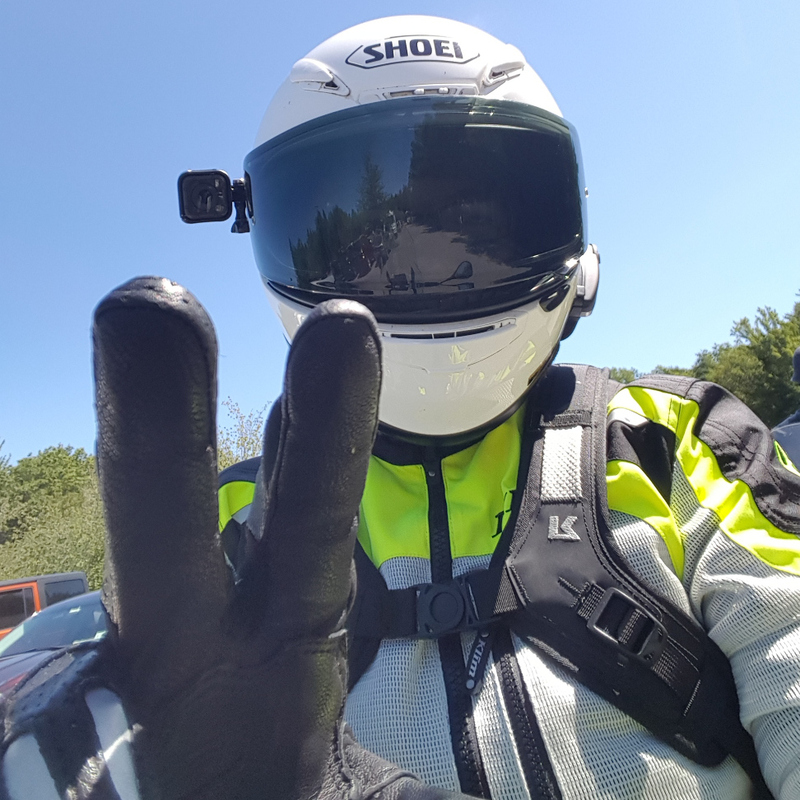 I kinda regret not taking my GoPro, but video logging a motorcycle trip is a pile of work. This first picture is from shortly after we rode into New Brunswick. It was bit damp, but that’s what the Gore-Tex is for. That’s me up front. The Amsterdam Inn & Suites was another winner. 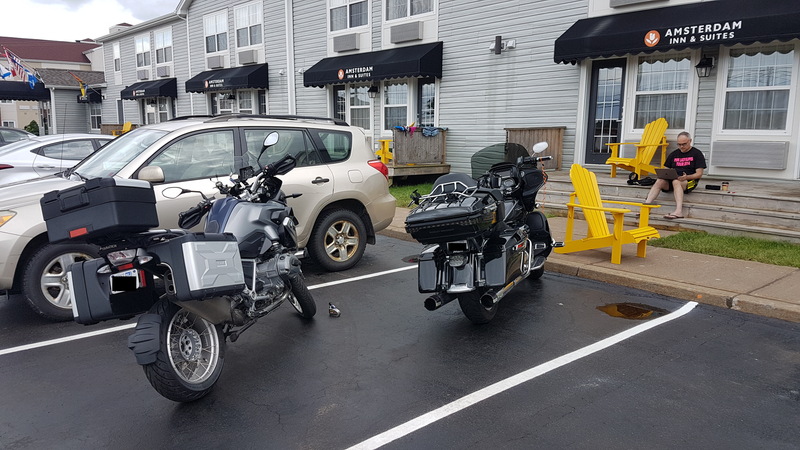 After 600+ kilometers of riding, it’s pretty satisfying to pull up right in front of the door to a clean and comfortable room for the night.